Footwear specialist Caleres (Brown Shoe Company until 2015) announced mid-month that it acquired upmarket shoe and accessories manufacturer and retailer Allen Edmonds. The Famous Footwear owner will add Allen Edmonds to its Brand Portfolio division, currently home to Naturalizer and Sam Edelman retail operations. According to Chain Store Guide’s Database of Department Stores & Shoe Retailers, Allen Edmonds has grown its retail footprint by 10 stores in 2016 from 59 to 69 units, displaying a renewed vigor and confidence in its direct-to-consumer business. 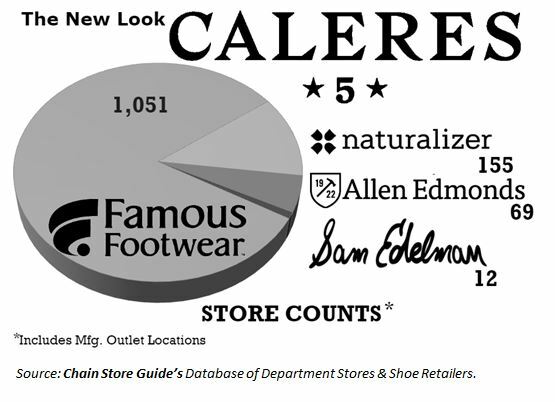 From Caleres’ perspective the move to acquire upscale Allen Edmonds is logical – its existing upmarket brand, Sam Edelman, has been one of the stronger performers within the company’s Brand Portfolio division.